Patricia Kelikani, Health Journalist (Co-host): What comes to mind when you think of the Mediterranean? Perhaps a pristine Italian coastline, or a dream vacation destination, or how about food? The Mediterranean diet has many health benefits that can lower our risk for heart disease. Dr. Mark Reeves, Surgical Oncologist (Co-host): It’s a sobering reality that one in every four deaths in America is a result of heart disease. One of the main risk factors is having high cholesterol. Cholesterol is a waxy, fat-like substance and when your body makes too much it can build up on the walls of your arteries. This build up restricts the amount of blood and oxygen carried throughout your body and can result in a stroke, heart attack or other forms of heart disease. KELIKANI: Eating a traditional Mediterranean diet lowers our risk for heart disease. Dr. Ella Haddad, LLU Associate Professor of Nutrition: The traditional Mediterranean diet is legumes and vegetables, whole grains, fruits, nuts, olive oil instead of butter and other types of fat. Small amounts of dairy products and small amounts of meat. KELIKANI: The Mediterranean diet has many health benefits because it contains high amounts of antioxidants, protein, and omega-3’s. DR. REEVES: But you should shift from avoiding fats entirely to adding healthy fats into your diet that fight bad cholesterol. KELIKANI: To get the good unsaturated fats substitute olive oil, nuts and seeds, as well as avocadoes into your diet. You can use olive oil for salad dressings, stir-fry, make desserts or replace butter by dipping your bread in olive oil. DR. HADDAD: The fats in olive oil are mostly monounsaturated, which help lower cholesterol. DR. REEVES: The second tip is eat more legumes like beans, lentils, and garbanzos. A Traditional Mediterranean food like hummus is made from garbanzo beans and oil from whole sesame seeds. Try adding hummus to your next sandwich or use it as a dip for pita bread, carrots sticks and other vegetables. KELIKANI: The third tip is to eat more nuts and seeds like almonds and walnuts. One thing you can try is, instead of having a candy dish on the table, fill it with almonds. This way as you and your family members walk by you'll pick up a quick and healthy snack. There’s your tip for the day on how you can live healthier, longer. 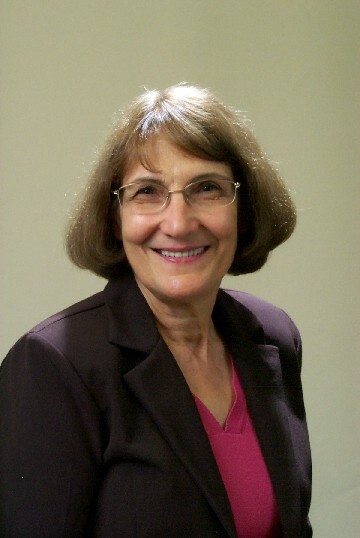 Dr. Ella Haddad completed her undergraduate work at La Sierra University in Riverside in 1957, her Dietetic Internship at the White Memorial Hospital in Los Angeles in 1958, and her doctoral degree at Loma Linda University in 1979. Moving to Lebanon, she taught at both Middle East College and the American University of Beirut. She is currently an Associate Professor at the School of Public Health, Loma Linda University—a position she has held since 1989. She is the program director of the Master of Public Health (MPH) program in nutrition and in nutrition and dietetics.